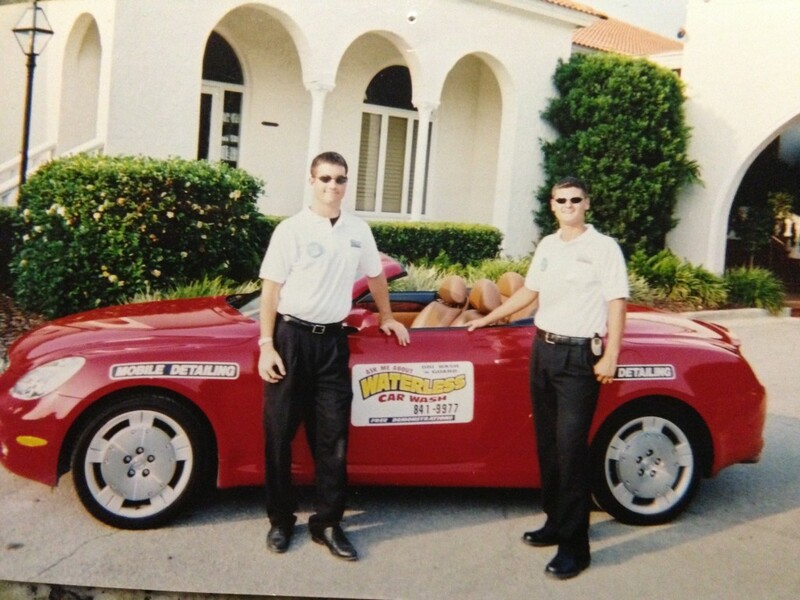 I was barely 16 years old when I started my first business. I had a love for cars, looking cool, and spending money on my friends. So after quitting my minimum wage job as a dancing ice cream cone, I decided to start a car detailing business. It was a struggle, at first, but after several months of getting rejected, I started making about $3,000 a week in revenue. I made a TON of mistakes, but my “trial by fire” paid off. I learned how to delegate dirty work, sell and persuade, and how to handle customer service. That experience taught me a valuable lesson – it's possible to start a business on the side if you're willing to hustle. The problem is that many people think working a 9 to 5 job is difficult. But if you're serious about achieving financial freedom and being able to own your time, then it's going to take much more work than that. 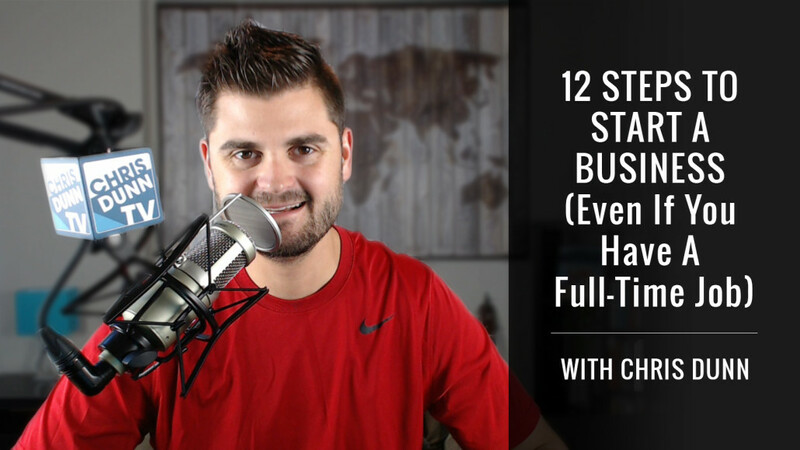 If you want to start a side hustle, expect to work a minimum of 12-16 hours a day while you're building up the business. There's nothing glamorous about the early days of a startup. It takes thick skin, determination, and a relentless desire to succeed. You may be thinking of starting a business because you would like some extra income on the side. Or perhaps you want to be in more control of your destiny. Whatever the reason is, there are a lot of people who have managed to start a business successfully while holding down a full-time job. A study by Bentley University revealed that 66% of millennials would prefer to start their own business rather than be CEO of a company. However, it may be too risky for you to leave your job and stable salary to risk everything on an untested idea. It may make more sense for you to run your business on the side while you continue to work at your full-time job until you are sure that you are ready to take that leap. Or you may prefer to have two sources of income anyway, both from your full-time job and your business. You hear this all the time, but there’s a reason people keep repeating it. It would be a tragedy to bust your guts climbing a ladder and finding out you hate what’s at the top. What do you want from your business? Is it the opportunity to pursue your passion? Is it more money in addition to what you already earn? Or do you want to create another source of income so that you can eventually leave your full-time job? What you want should guide you on how you design your business. If you don’t have any personal goals, MindTools provides a variety of online tools that can help. Once you know what you want, you can select the type of business you wish to get into. The US Small Business Administration provides a good idea of the different types of businesses out there. If you want a business that can continue to produce passive income for you over the long term, here is a list of 15 passive income businesses that you can get into while working a full-time job. Now that you have chosen your business, you should start creating your business vision and mission. The US Small Business Administration provides helpful resources on how to create business plans. You should also consider what kind of business structure you want to put your company in. The common ones are sole proprietorship, LLCs, S corporations, and corporations. LegalZoom provides a cost-efficient way to set up a structure for your business. Different structures have different strengths and weaknesses and if in doubt, seek legal advice. Many business owners make the mistake of making the business about them, not their target market. Find out as much as you can about your target market; where do they live, what do they buy, what makes them laugh, what keeps them awake at night. Your business should focus on providing a solution to a problem that they already have. Before you pour everything into your company, you need to validate your idea. You need to find out if your target market wants their problem to be solved AND is willing to pay for the solution. Believe it or not, not everyone wants their problems solved. There are many ways to validate your business idea including talking to your target market and getting them to agree to buy your product or service in advance, organizing a focus group or talking to other experts in the industry to see what they think. The more involved you can be with your target market, the more accurate your data will be. Your business stands a better chance of success if you play to your strengths. This is how startups have been able to overcome gigantic companies that have monopolized industries for years. What can you do better than the existing competition? Don’t compete where you are weakest. Identify your competitive advantage and focus on leveraging that. Now that you have validated your business idea and are clear on your competitive advantage, you can start creating your short-term goals for your business and how you are going to achieve them. This should influence your marketing strategies. In the beginning, this can be tough because you don’t know how fervently or quickly the market will respond to your offerings. Nevertheless, remember that plans are not set in stone. It’s better to have a plan that goes wrong that you can readjust than not to have a plan at all. Since you are juggling two different roles; your full-time job and business ownership, time management is vital. Set clear boundaries so that your results at work don’t suffer. Use apps like Google Keep, Any.do and Wunderlist that can help you create task lists and deadlines. RescueTime records your activities on your computer and smartphone and will help reveal where you are wasting time. As much as possible, try to outsource tasks that require skills that you don’t possess. Not only can others do a better job when it comes to something that is outside of your expertise, but you also make your business more fun when you can concentrate on the parts of it that come easily to you. Sites like Upwork, Fiverr, Freelancer, and 99designs provide you with a broad range of skilled graphic designers, web developers, writers, marketing professionals, accountants…and the list goes on. Here is a list of 35+ websites where you can outsource work. There are many pitfalls in business and finding someone who has done what you want to do can be extremely helpful. Alternatively, you may want to join or create your own mastermind group where you can share ideas with other entrepreneurs and also keep you accountable to others. Pat Flynn has written a useful article about how to run an effective mastermind group. Although it can be challenging when you are so busy, try to find time to network. The contacts and relationships that you acquire from networking events can not only shorten your learning curve but also introduce you to other important people that can help your business grow faster. Great places to find places to network include your local business association, Meetup and Eventbrite.